2 representative offices and a large network of distributors, who enable Smeg to offer appliances designed with know-how and Made-in-Italy style all around the world, from Asia to Europe, Africa to Australia. beautiful and timeless objects are created. incorporate the Smeg philosophy – Technology with Style. 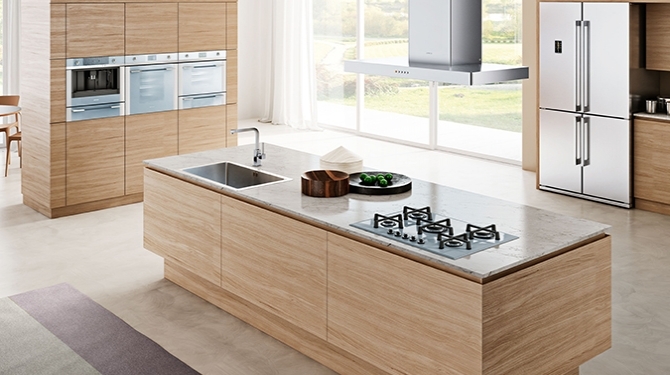 Smeg is an Italian home appliance manufacturer based in Guastalla, near Reggio Emilia in the north of the country. Smeg has 15 subsidiaries worldwide, overseas offices in Hong Kong and Saudi Arabia and an extensive sales network. NOT JUST PRODUCTS, BUT CREATIONS. to you as a Smeg aesthetic line! an excellent reflection of his signature style: that is, soft lines and extremely ergonomic designs which make using a Smeg product a piece of cake. Smeg has been adopting policies for some years now which target the ongoing improvement of company values in terms of environmental sustainability. Fourth successful year as Smeg scoops five prizes at the sixty-fourth annual Good Design Awards. Cooking with steam is a popular alternative to conventional cooking methods. Why not discover some of the benefits of Smeg's compact steam oven range? Extending the life span of food, by preserving all the nutritious values and organoleptic qualities, has now become the main imperative for refrigerators, because correct preservation also leads to health and physical well-being. For the third year, Smeg products are recognized by the International design community. Smeg held a star studded fashion show in Moscow on 21st November to officially launch a new style icon in Russia – the unique FAB28 denim fridge. The Design Week - Mexico City as a global design capital!